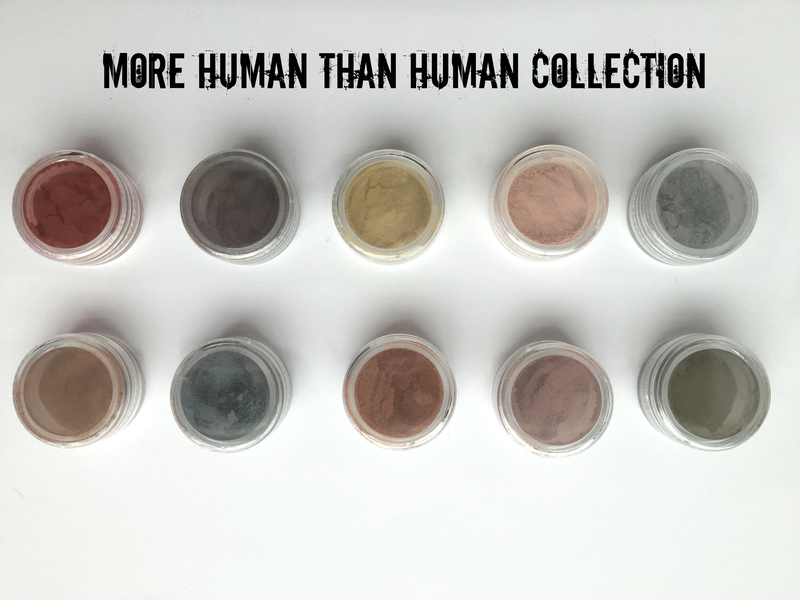 A while back Aromaleigh was having a giveaway of their upcoming “More Human Than Human” Collection, based on Blade Runner. I entered it, and I actually won the deluxe sample set! I was so excited! The only other time I have ever won a giveaway was when I was 6 and I won a Fievel Goes West VHS. Yes, I won this. Be jealous. Needless to say, winning this Aromaleigh Collection is wayyyyyy more exciting. I originally wasn’t planning to purchase this collection because my eye shadow collection runneth over, but wow, the colors are gorgeous. If you’ve been on the fence about this set, you might want to check out these shadows. And good news: for the next few days, this entire collection is on sale! (And even though I won a giveaway, all of these opinions are my own. 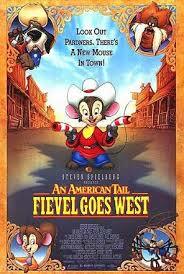 Including that Fievel Goes West is a very bizarre movie, but I enjoyed it when I was 6). I swatched all of these over Glitter Fix because they’re extremely glittery and I felt that would be the best medium for them. I also casually swatched them over regular primer, and as you would expect, they’re still lovely but not as bright or sparkly. Just a FYI, if you have primer needs. This set usually runs $1.00 for sample sizes, $3 for a deluxe sample jar, or $6.50 for the full jar. I won the deluxe sample set, which would cost $30. Accelerated Decrepitude-A smoky moss green base with vivid bright green and gold iridescent sparks. The effects of this color are off the charts when foiled or applied over a black base! 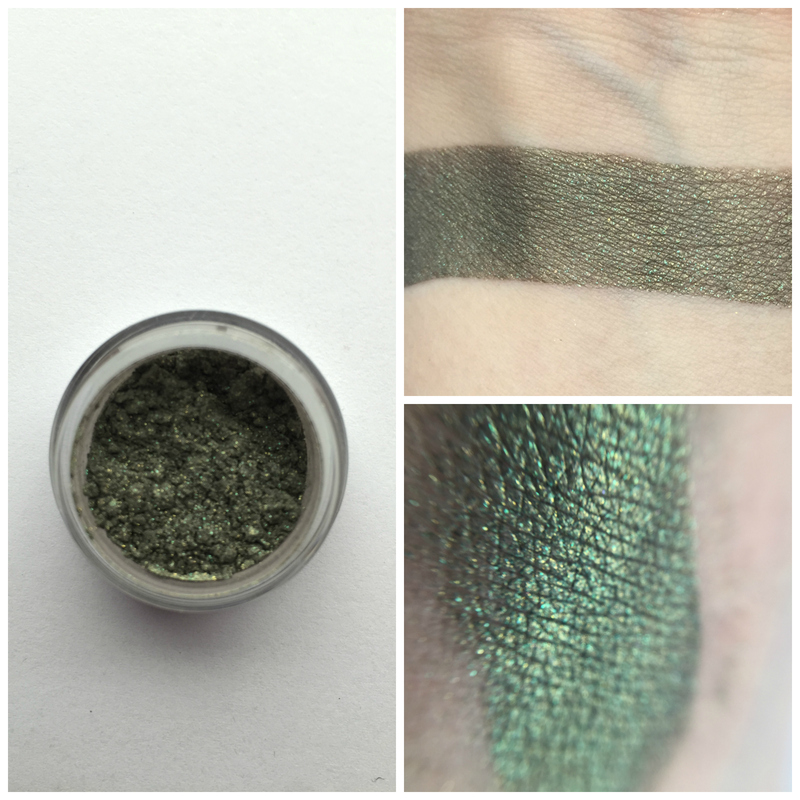 I love Aromaleigh’s greens and this one is no exception. It’s more of a mossy color, but my close up swatch really picked up on the yellow/green glow of the glitter. I think this would be really neat combined with Prodigal Son, so I’ve got some experimenting to do. Blush Response- A dusty mauve base with bright indigo and gold iridescent sparks. The effects of this color are off the charts when foiled or applied over a black base! I love these kind of mauve pink colors, and the sparkles make it extra pretty. I think this is a versatile shade that I can do a lot with, and the one I’ll be most likely to pull off at work. Incept Date-A rich metallic copper sheen with vivid teal and blue iridescent sparks. The effects of this color are off the charts when foiled or applied over a black base! Like Tears in Rain-A muted teal base with copious amounts of rose-copper-gold iridescent sparks. The effects of this color are off the charts when foiled or applied over a black base! 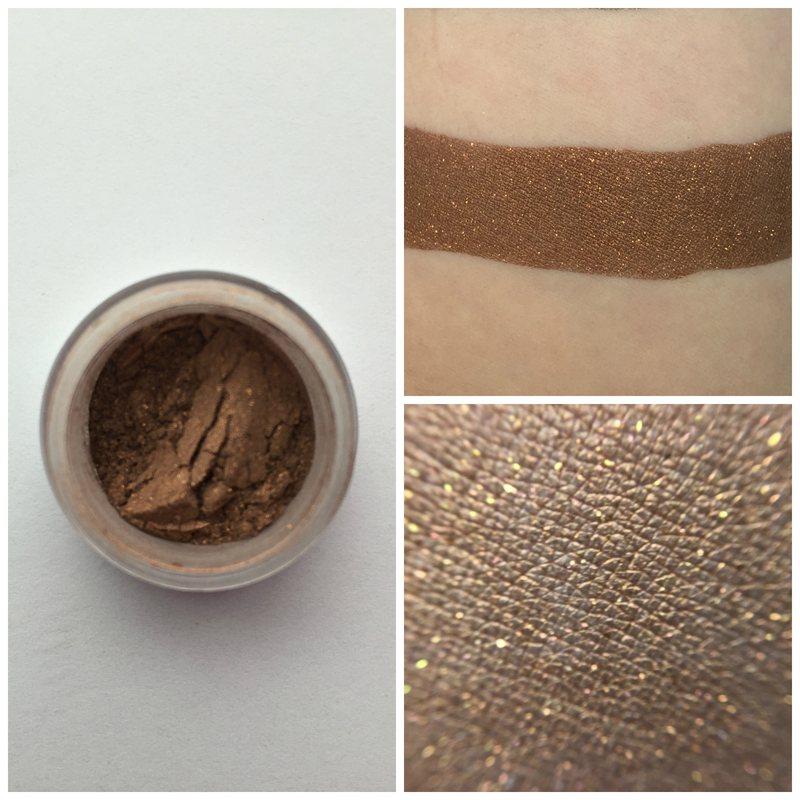 This is a rich brown, leaning almost orange, with gold sparkles, I actually think it would look neat as an eyeliner. I may even try it all over my lid. Origami Unicorn-A pale silvery wisp with a strong copper to rose iridescent shimmer. 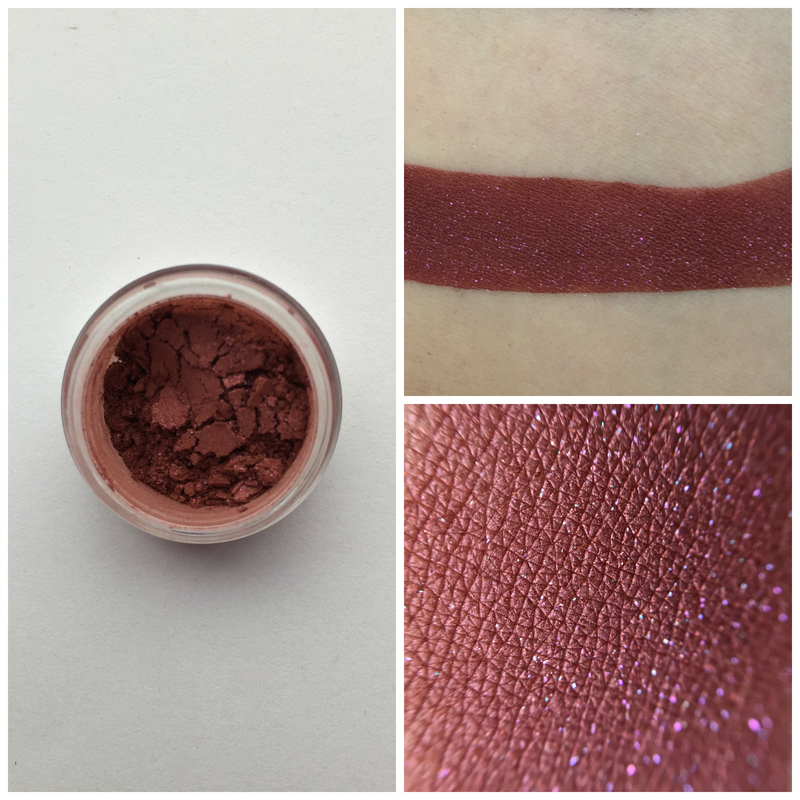 (If you received a sneak peek of this in the February subscription box, please note that this color has been tweaked to have a stronger copper to rose shift!) 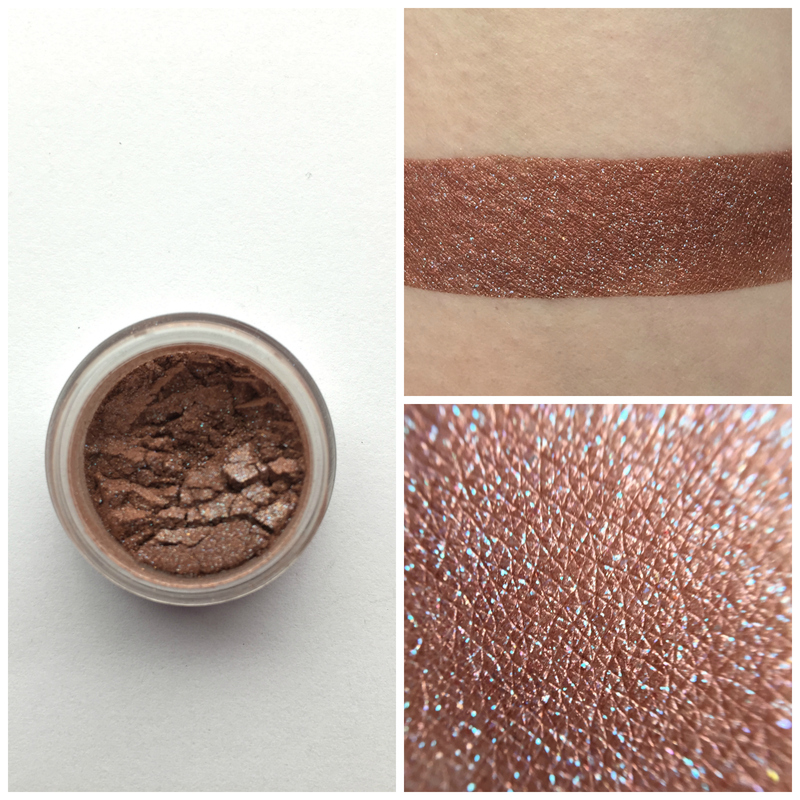 This color was tough to photograph and is much more beautiful in person- the copper/rose shift is hardly visible in the swatch photos, unfortunately! We got a swatch of this in the February Ephemera box, but I do like this version better. It leans a bit more copper now, and less silver, which makes it more versatile to me. 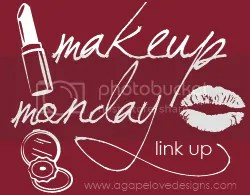 I really like this as a crease color. Pleasure Model- In the jar, this appears to be a soft peachy pink with pink shimmer. Apply over a cream base or foiled? 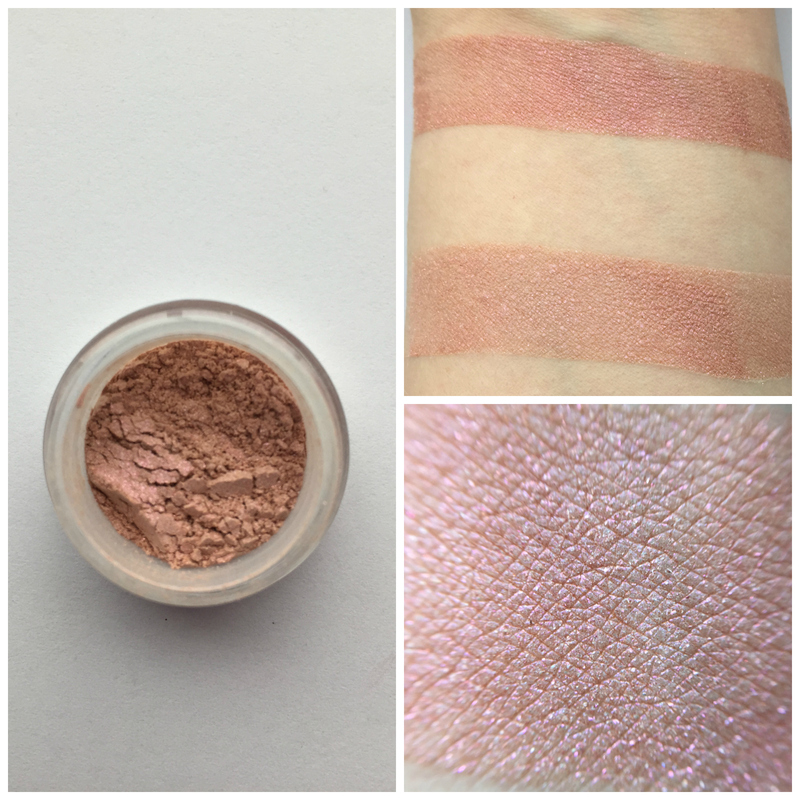 And you get a vivid bright rose duochrome that flashes back to the peach base in the light. Also makes a perfect all-over lid shade, or highlight shade. 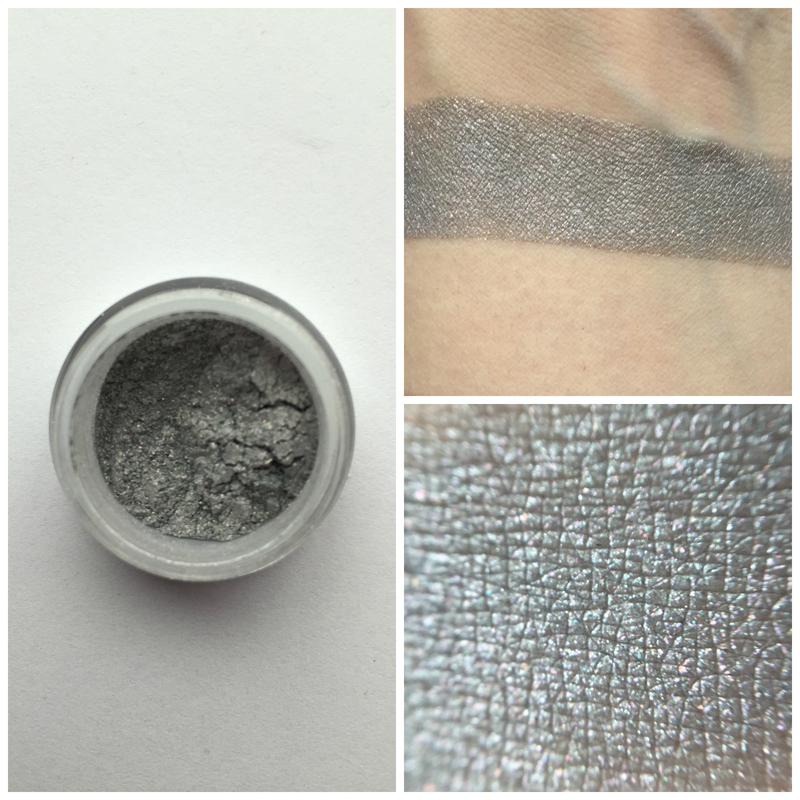 I think this is user error, but I could not get this one to swatch smoothly. I tried it over Glitter Fix and Urban Decay primer, and it applied patchy. I think I’m going to try it over the NYX Base Aromaleigh uses in their swatches, because it’s a really beautiful pink and I want it to work. It may also need to be swatched really quickly, like when the primer is still wet. I’m going to keep playing around with this one and see if I can get better at using it. 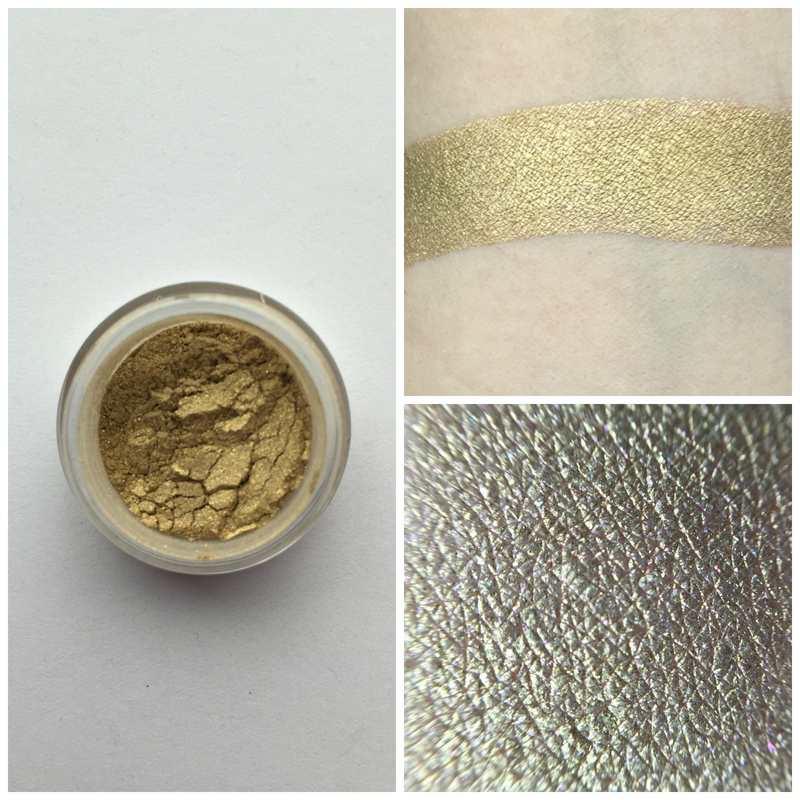 Prodigal Son- A smooth, glowing yellow-gold with gold and copper shimmer. This is a bright yellow with gold sparkles. (My close up swatch went a bit taupe, but rest assured it’s yellow). I’m thinking this could be cool with Accelerated Decrepitude, (the green) from above. I’ve got plans! Replicant-A deep smooth pewter grey with intense color shifting fuchsia/aqua iridescent sparks. A shifty shade, this one will appear different depending on the lighting you view it in. 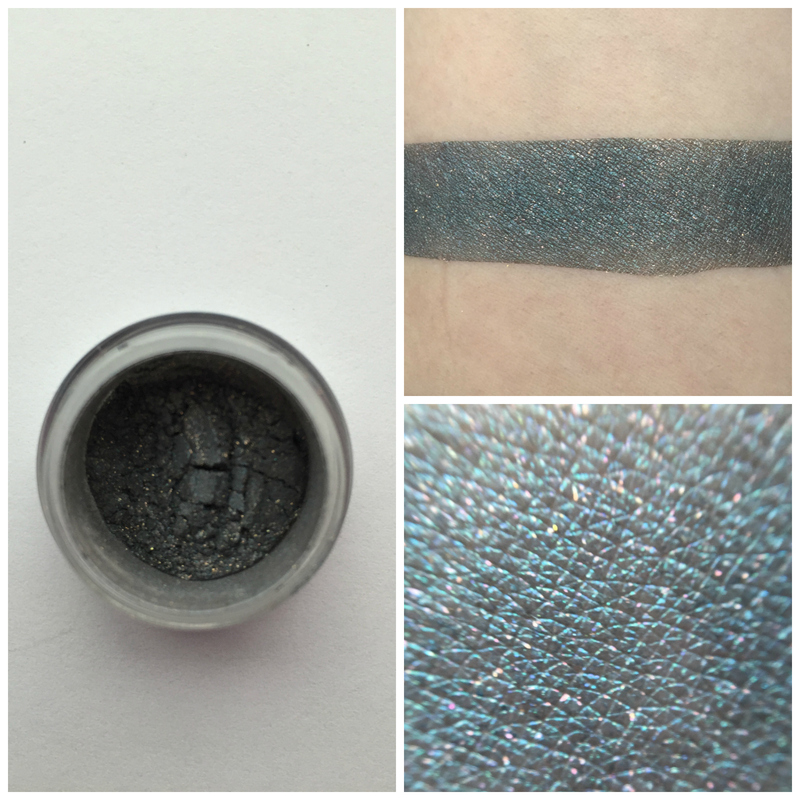 It’s gorgeous foiled or over a black base! The black base comes out in my photograph, but this is definitely more purple sparkle in real life. It does remind me of Trivia from the Feast of Lupercal Collection, so if you missed out on the dark purple, you might want to grab this one. I foiled Trivia as an eyeliner and it was gorgeous, so I feel this would work just as well. She Won’t Live- This is a unique red, which will shift from a warm to cool depending on your application method and viewing conditions. In the sunlight, this red appears more warm, with even a coppery base. Under artificial light, it appears more cool. In our photos under a daylight bulb and applied over a cream primer, you can see it’s a cool red with a vivid fuchsia/aqua interference. Apply it on bare skin? And it’s a more coppery red with pink/aqua shimmer! Foiled or over a black base, it’s exceptionally dramatic, with strong fuchsia/aqua color shift. 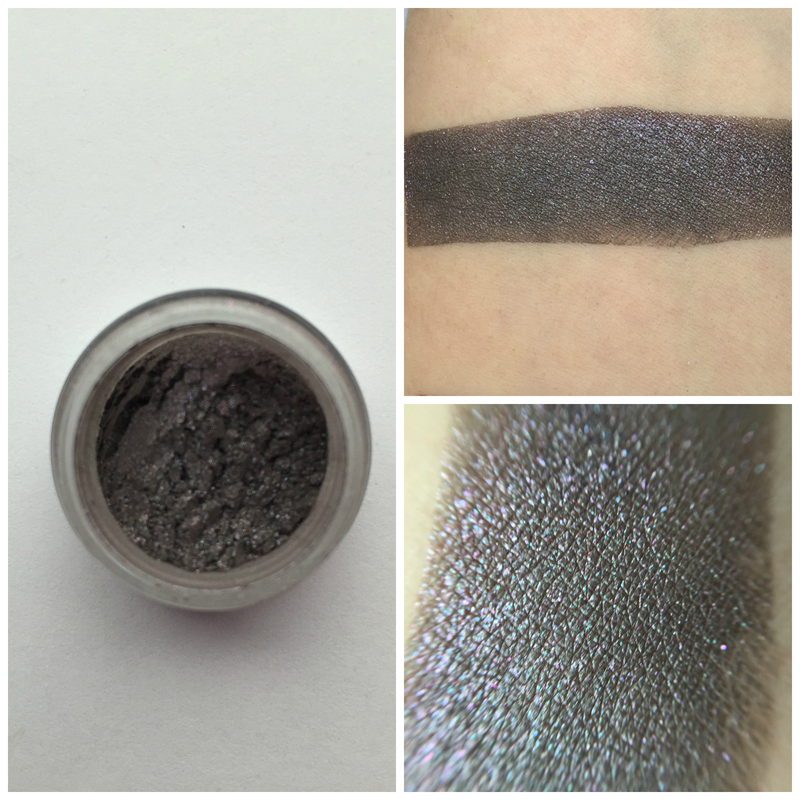 The close up swatch of this eye shadow is more accurate than my arm swatch. I could not get the glitter to show up on my camera, and trust me it’s there. This is a really neat red with pink glitter. I love it and I’m trying to brainstorm a look for it. Look: I just used Tears in the Rain on the lid, with Origami Unicorn in the crease. I put both over primer and glitter primer. I used Verve from the Naked 2 Palette on the Brow and Y2K on the lower lid. 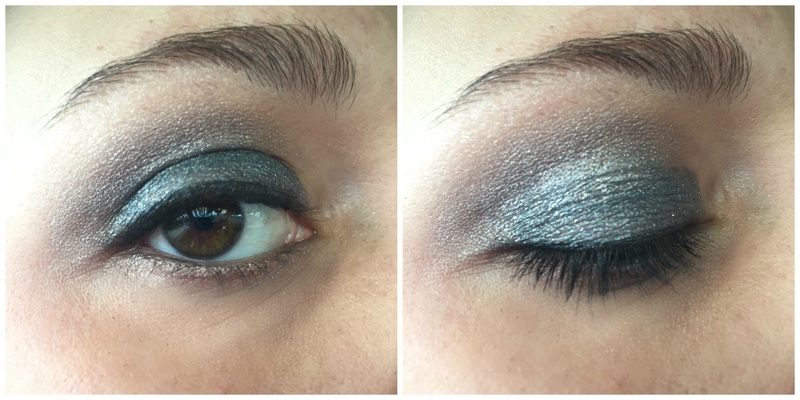 Not my typical eye look, but really fun and pretty. Overall: Aside from my personal technical problems with Pleasure Model, I was surprised by how much I enjoyed this set. I don’t wear a lot of color during the week, but I’ve got all sorts of ideas for weekend looks. I really like how bold and glittery these are. 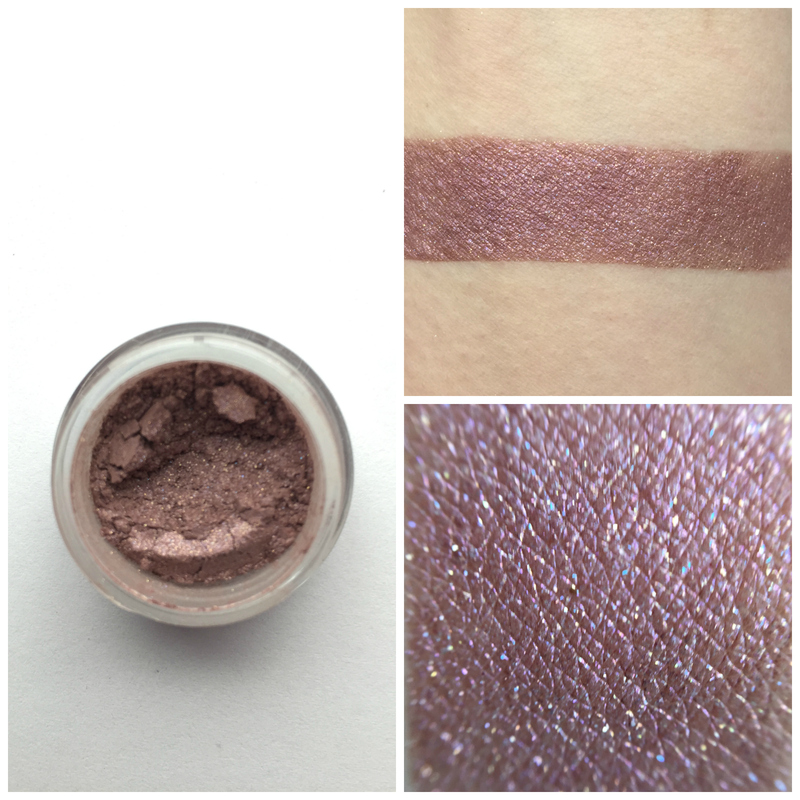 I’m thinking a future EOTD post might even feature some of these. Also, I’ve only seen Blade Runner once, about eight years ago, and now I really want to watch it again. 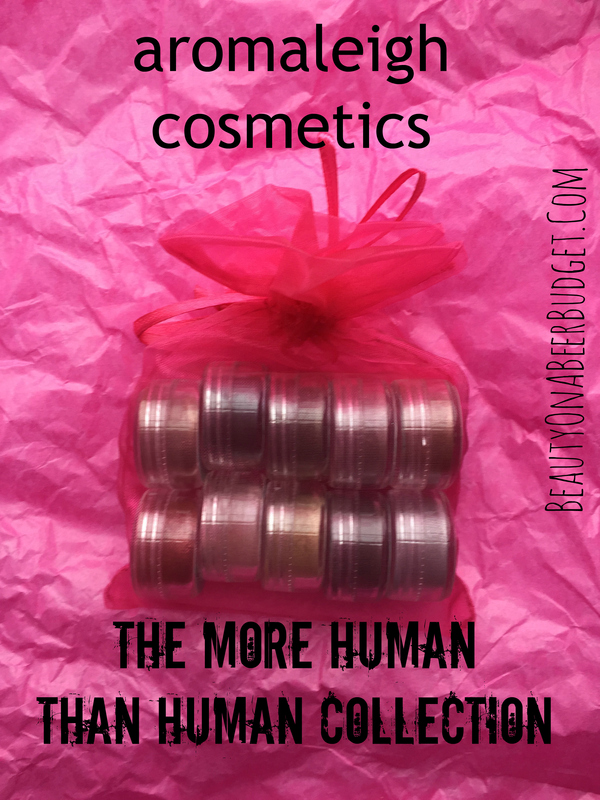 -What do you think about the More Human Than Human Collection? Any color combos you would try? -Have you ever seen Blade Runner, thoughts? 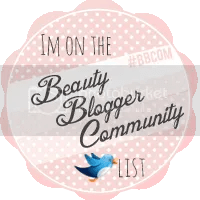 -Have you ever won a contest or giveaway? I recently won a gift basket of tuna and wine and couscous and stuff and was really surprised by it! It was a contest on a cooking blog I love and I forgot I’d even entered when I got the email about it. I’ve been eyeing this collection, but I’m on the fence. I think for now I’m gonna hold off and see how I feel when my low buy is over. Although my sister really wants Like Tears in Rain, so next time I order from Aromaleigh I’m gonna pick that up for her for sure. That is awesome, congrats on your gift basket! I think for me personally, I’ll get the most use out of Blush Response, (the mauve one), and Incept Date, (the copper one.) I really loved Tears in the Rain and Origami Unicorn together, though, but it’s so hard for me to wear blues on a daily basis. I’m not gonna lie, I’m actually jealous that you won Fievel Goes West. I was a weird kid. The one time I watched Blade Runner it was the director’s cut which is missing the voice over. It makes NO SENSE. Would not recommend. Haha, well obviously I’m still pretty proud of my Fievel Goes West win if I’m bragging about it on the internet like 20 years later! Note to self: do not watch Blade Runner Director’s Cut. Thank you! I’ve only dived into Aromaleigh these past few months but I really love what I’ve tried so far. My favorites from this collection were definitely Blush Response, Incept Date, Tears in the Rain, and Origami Unicorn. I like Accelerated Decrepitude, but I’m like-how do I pull this off in my business -professional work life? !